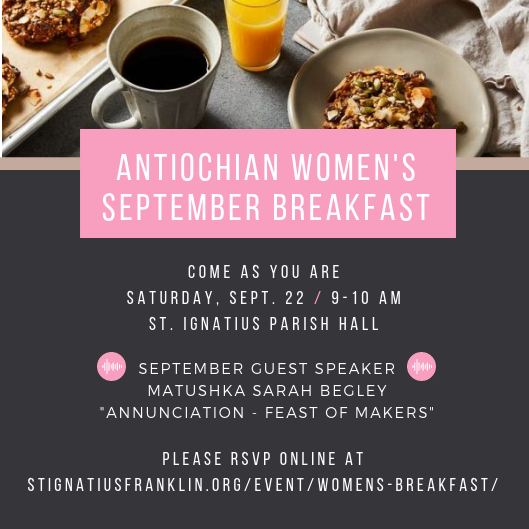 The September Antiochian Women’s Breakfast will be on Saturday, September 22nd at 9:00am in the St. Ignatius Parish Hall. September’s guest speaker will be Matushka Sarah Begley. For more information, visit the breakfast event page or email aw@stignatiusfranklin.org.